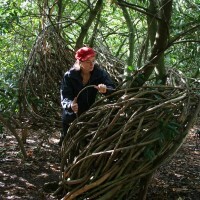 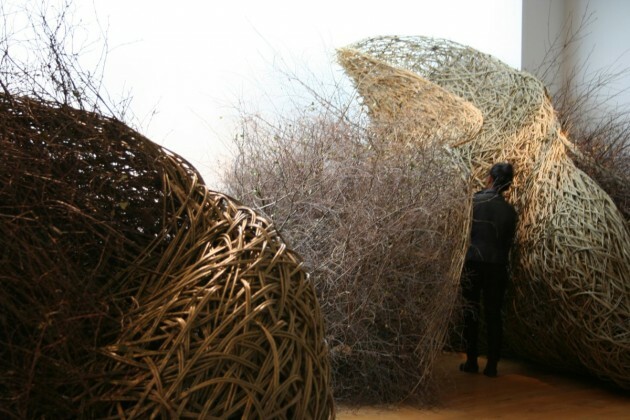 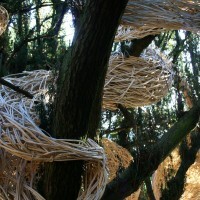 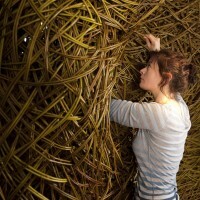 Artist Laura Ellen Bacon creates sculptures that were initially inspired by nest-like forms that have developed into much more. 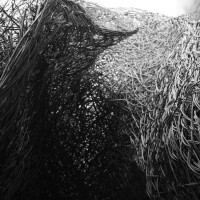 All of my work has been generated because of a personal (and solitary) drive to build, to create and often to be able to climb inside; the thrill of the quiet space that did not exist before my hands placed the material in the available position. 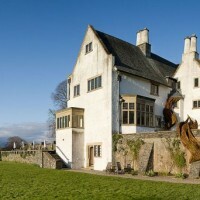 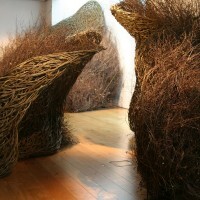 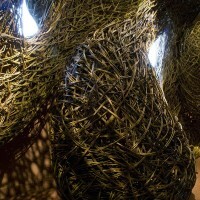 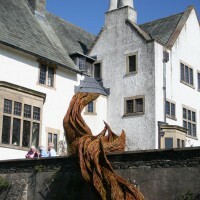 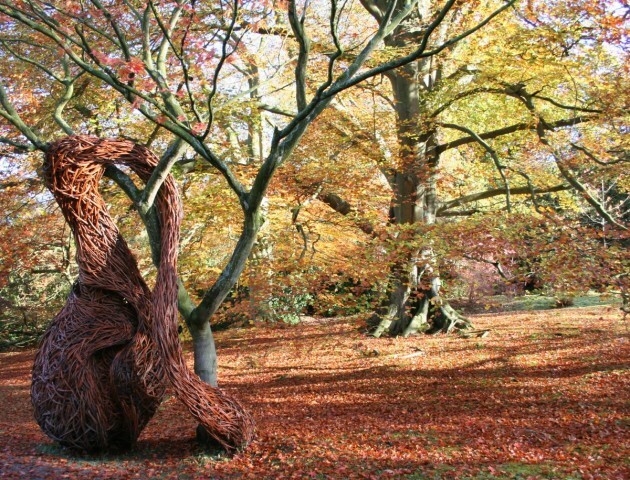 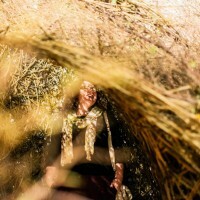 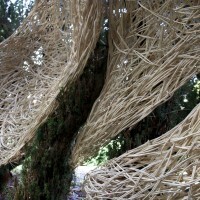 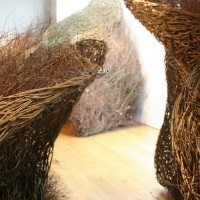 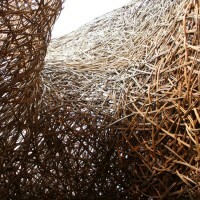 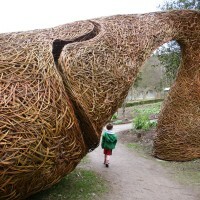 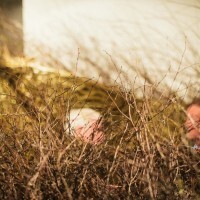 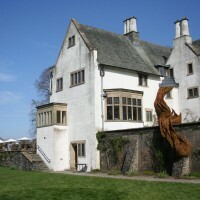 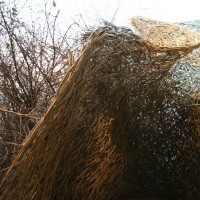 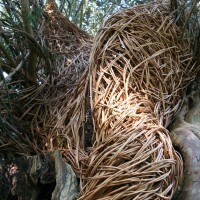 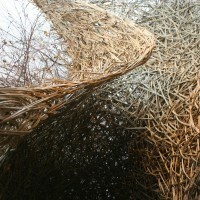 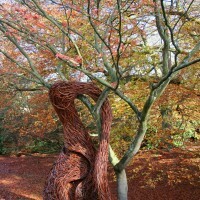 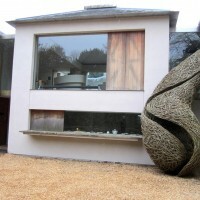 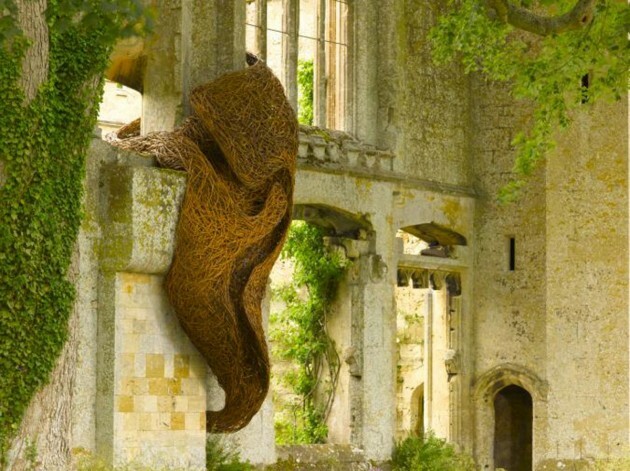 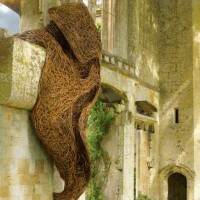 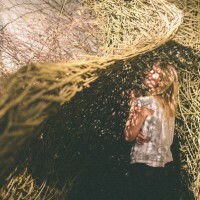 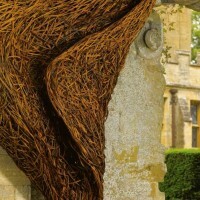 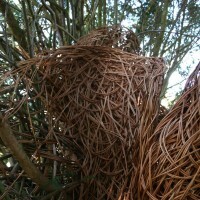 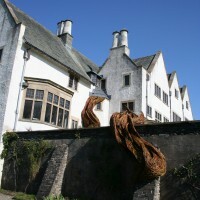 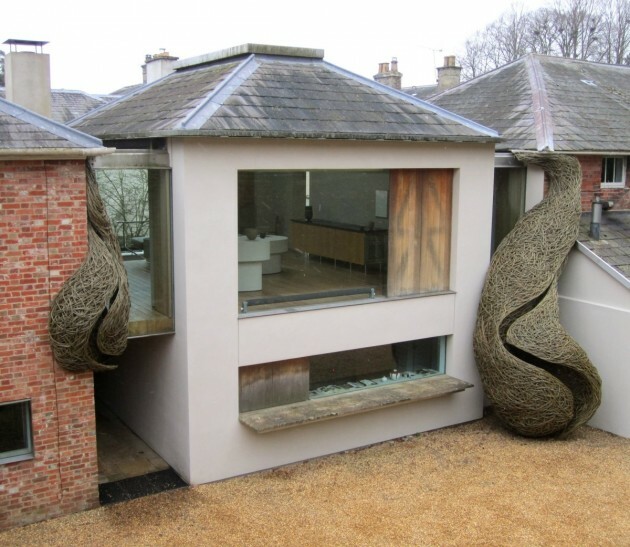 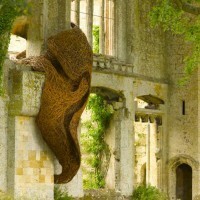 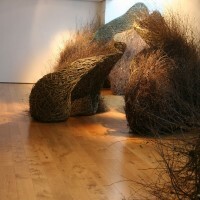 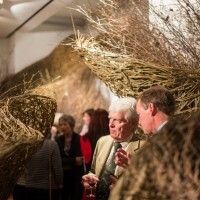 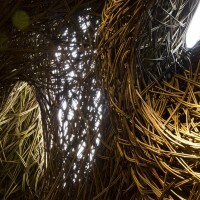 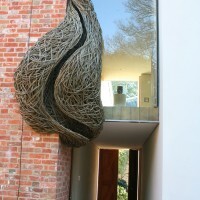 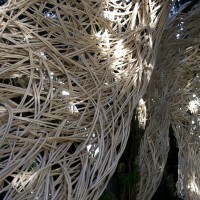 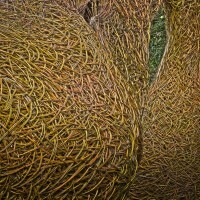 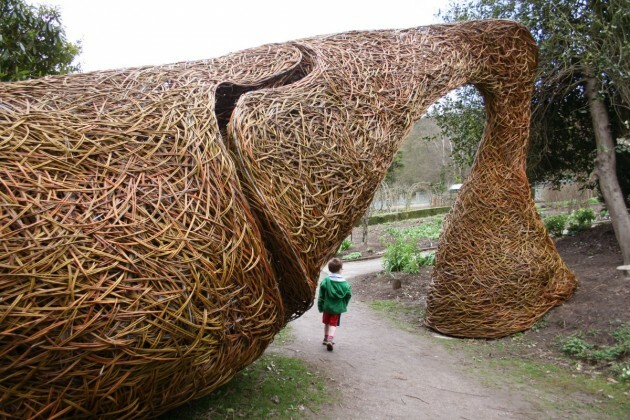 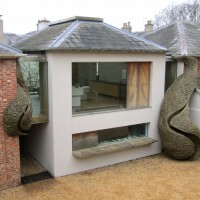 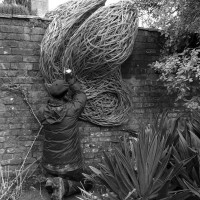 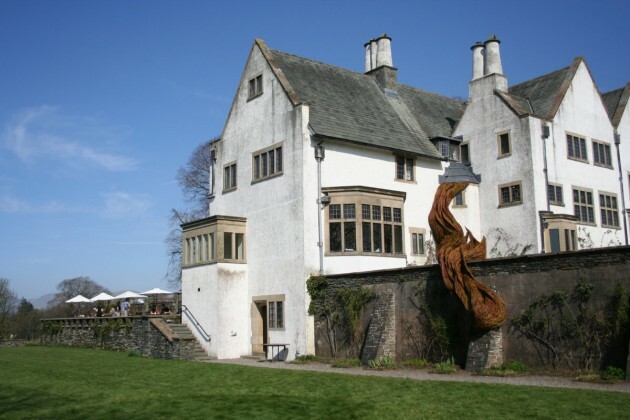 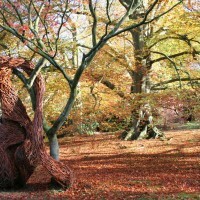 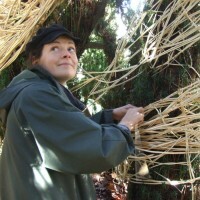 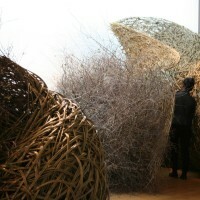 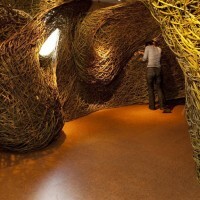 Some of my work celebrates these ‘spaces’ openly, such as in my exhibition, ‘In the Thick of it: A Woven Space’ and some spaces are known only to me, such as the huge spatial interior of ‘Forms of Growth’ at Chatsworth, where I wove much of the form from the inside out – and eventually sealed the entry. 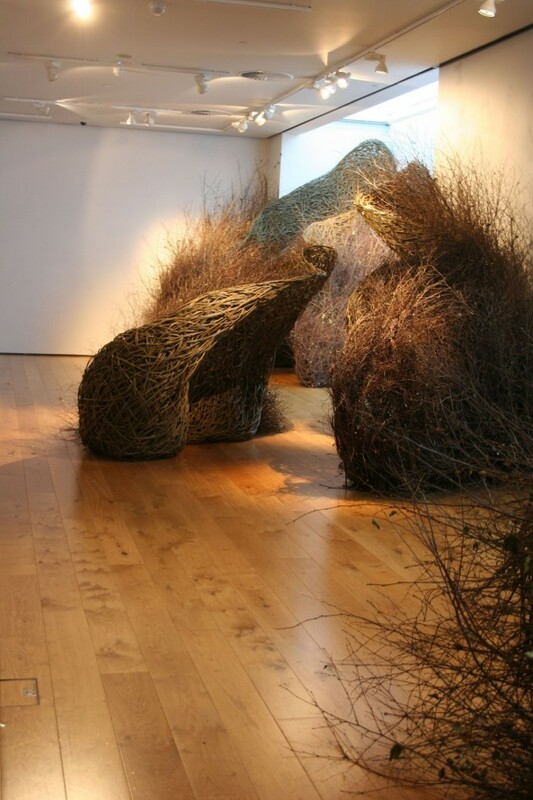 I would regard my work as abstract, in the sense that it does not represent something in a figurative sense and my ambition for my work is to generate a kind of intrigue and an appeal that touches a powerful (and perhaps ancient) nerve that we cannot precisely locate.